The STM32F407ZG family is based on the high-performance ARM®Cortex™-M4F 32-bit RISC core operating at a frequency of up to 168 MHz. The Cortex-M4F core features a Floating point unit (FPU) single precision which supports all ARM single-precision data-processing instructions and data types. It also implements a full set of DSP instructions and a memory protection unit (MPU) which enhances application security. 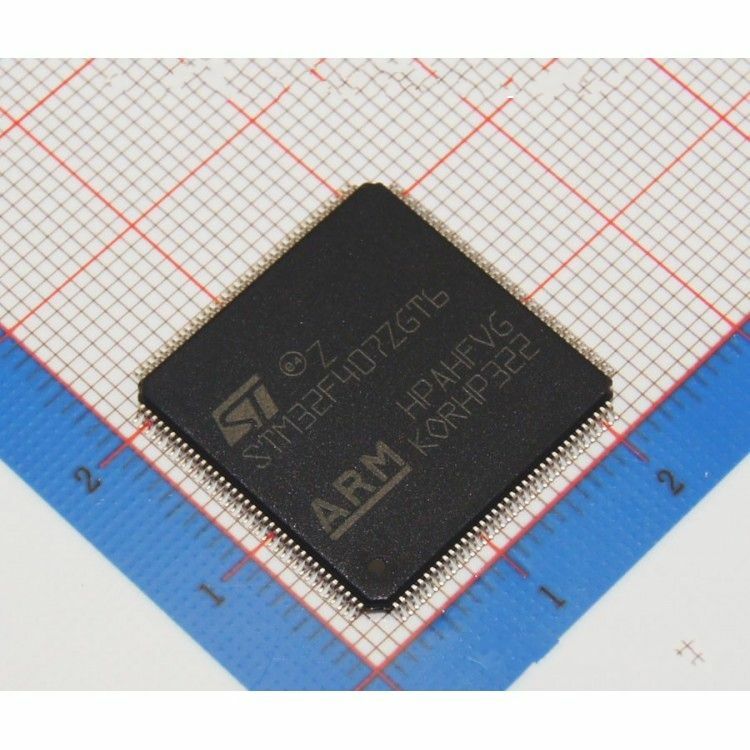 The STM32F407ZG family incorporates high-speed embedded memories (Flash memory up to 1 Mbyte, up to 192 Kbytes of SRAM), up to 4 Kbytes of backup SRAM, and an extensive range of enhanced I/Os and peripherals connected to two APB buses, two AHB buses and a 32-bit multi-AHB bus matrix. All the STM32F407ZG devices offer three 12-bit ADCs, two DACs, a low-power RTC, twelve general-purpose 16-bit timers including two PWM timers for motor control, two general-purpose 32-bit timers. a true number random generator (RNG). They also feature standard and advanced communication interfaces.